Wow! Can you believe this is the last week of the 2015 CSA? We hope you have enjoyed it as much as we have. In this final week, please make sure you take a pie pumpkin. Some of you have made dozens if not hundreds of pies using fresh pumpkins. 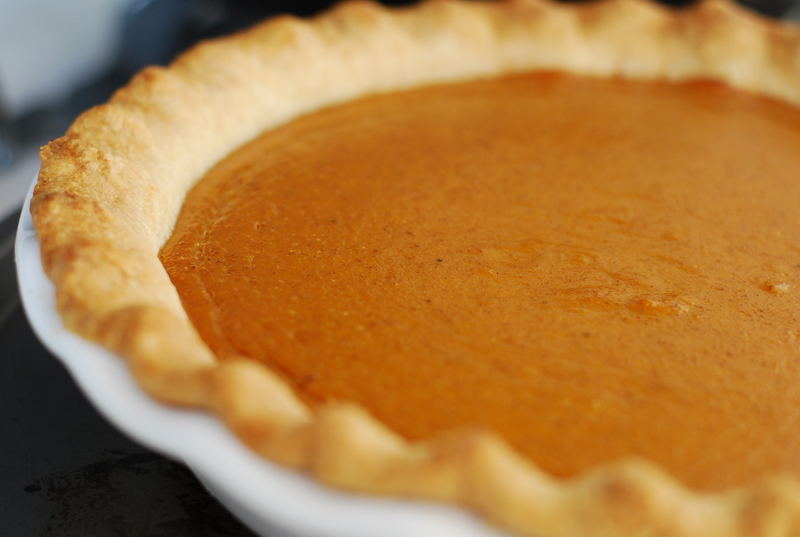 But for others of you, this may be the first time don’t crack open a can to start making your pumpkin pie. Don’t be scared… you can set that pumpkin on your porch or table for a long time a as a decoration. When you are done decorating, take a sharp knife and cut the pumpkin in half. Scoop out the seeds and set them aside – you can rinse those off and bake them for a great snack. Now quarter the pumpkin and take the stem off. There are many ways to cook the pumpkin. Many people like to steam them in a double boiler, but I prefer to bake mine in the oven. I place the pumpkin quarters in a 9X13 baking dish, put a ¼ inch of water on the bottom, and then bake at 350oF for about an hour, until I can poke a fork easily through the skin and meat. Let the pumpkin quarters cool enough to handle. Then place them in a food processor or use a stick blender to create your pumpkin puree. 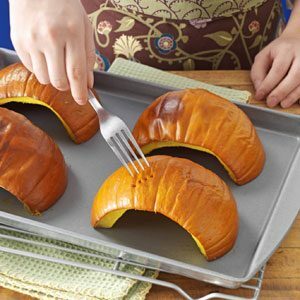 Now, you can use your fresh pumpkin for anything where a recipe calls for canned pumpkin – only it tastes better!! Personally, I like to cook several pumpkins (or squash) at a time, then blend them up and store 16 oz portions in freezer bags for use in everything from brownies and muffins to soups and chili. Now the other interesting item you will find in some of your CSA bags is orange beets. They taste similar to a red beet, but have less of an earthy flavor. Cook them the same as you would any other beet. Ryan and the kids like them best baked with butter and salt, but I think they do well as a slice on a sandwich. We have enjoyed having each of you participate in this year’s Pekarek’s Produce CSA. In a few weeks, we will send you a survey to see how we can improve for next year. But you don’t have to wait until next year to come see us. We will be at the Seward Farmer’s Market through October 31, the Lincoln Haymarket Farmer’s Market through October 10 and you can stop on the farm any time. Thank you all for a great year! This week has a little bit of a “farming as usual” feel to it. 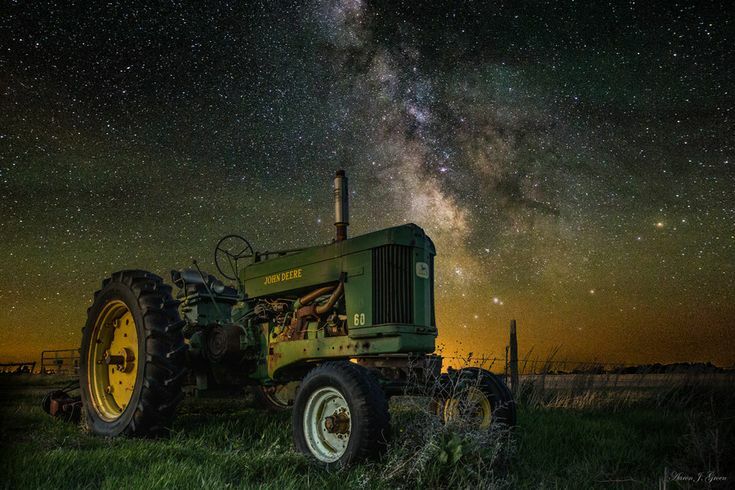 We no longer farm dawn until dusk – now it’s more like sun up to “whenever we turn the lights off.” I’m not sure I appreciate the person who decided it is a good idea to have lights on a tractor, or maybe at all! It’s not nearly as romantic as it seems. A few of you did not receive your mini sweet peppers last week – I’m sorry. I’m not sure where my head was, but hopefully we got everyone squared away. If we didn’t please let me know! We are once again having a less than wonderful year for onions. Last year we had so many small hail events that every time a small piece of hail would hit the onion, that layer would start rotting while the next layer would grow up around it. So we would not even be able to tell that something bad was going on until we cut into it. This year we’ve had weed issues and soft tops, so a lot of onions haven’t made it in from the field. We’ve started harvesting radishes for the fall again. We’ve also begun harvesting lettuce, so it will be salad season soon. Unfortunately, tomato production has slowed way down again and the watermelon season will end rather quickly. We tore out five rows of tomatoes this week as the plants were finished. We’ve had some of the best tasting watermelon we’ve ever grown this season, but we’ve never seen them stop producing quite like this. The plants simply started to shrivel up and die in a matter of days instead of the normal slow and gradual decline. We think the tomatoes that we’ve kept in the field will start producing again, but it looks like the end of watermelon season is upon us. Ryan spent some quality time with the shredder this week. Much of this time of year is now figuring out what is worth keeping and what is not. Onion patches, rotting watermelons and cantaloupe, old corn plants, and anything else that was not deemed worthy did not survive the week. There is more of this to come!